At last, the long-out-of-print fan favorite Wonderland Is available again -- for the first time on CD in the U.S.! 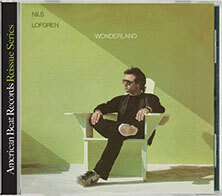 Originally released in 1983, this was Nils' last solo album before becoming a member of the E Street Band. Reissued in 2007 by American Beat Records.